One of the best things about blogging is that you get to have some amazing experiences. This past weekend was one for me. I was invited to go to Napa, California for US Dry Pea and Lentil Council. In case you didn’t know, 2016 is the International Year of Pulses. If you don’t know what pulses are, they categorized as beans, dry peas, chickpeas and lentils. 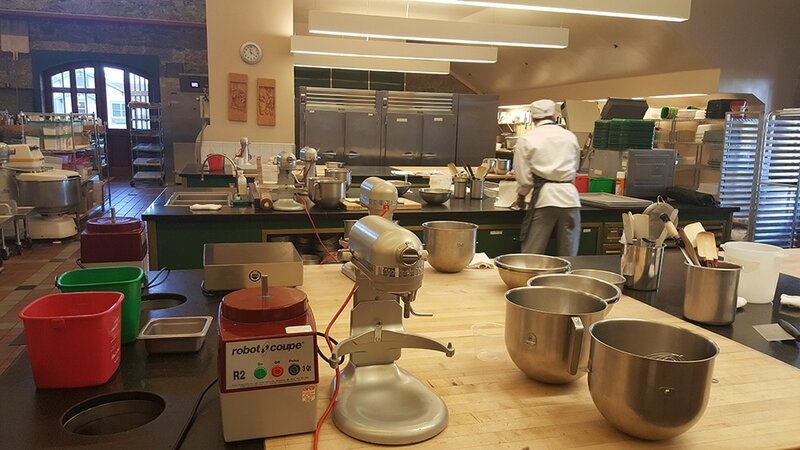 We spent the weekend at the Culinary Institute of America (CIA) in Napa learned just how versatile and nutritious these pulses are! 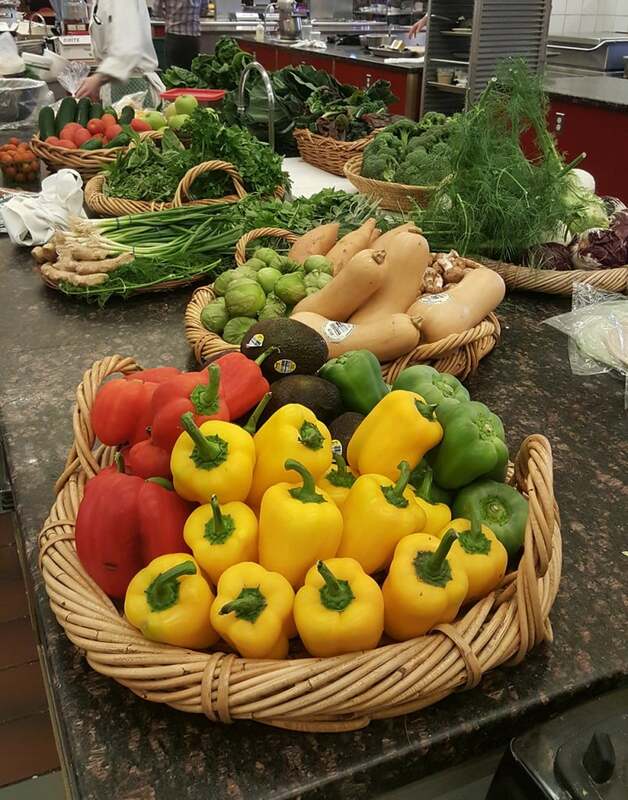 I got to make some fabulous recipes that I hope to share with you over the next few weeks. 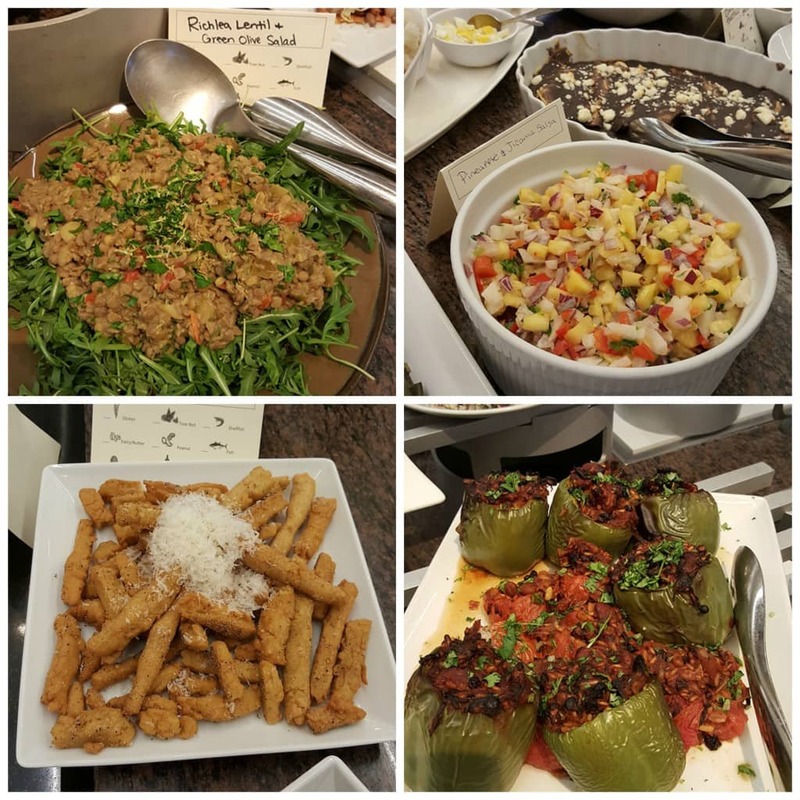 The first recipe I am sharing was my most favorite dish on the whole trip. It was Lentils with Roasted Beets and Lemon. The original recipe was a little more complicated, so I created a simplified version for you. This dish is healthy, very easy, vegan and gluten free. I hope you love it as much as I did! 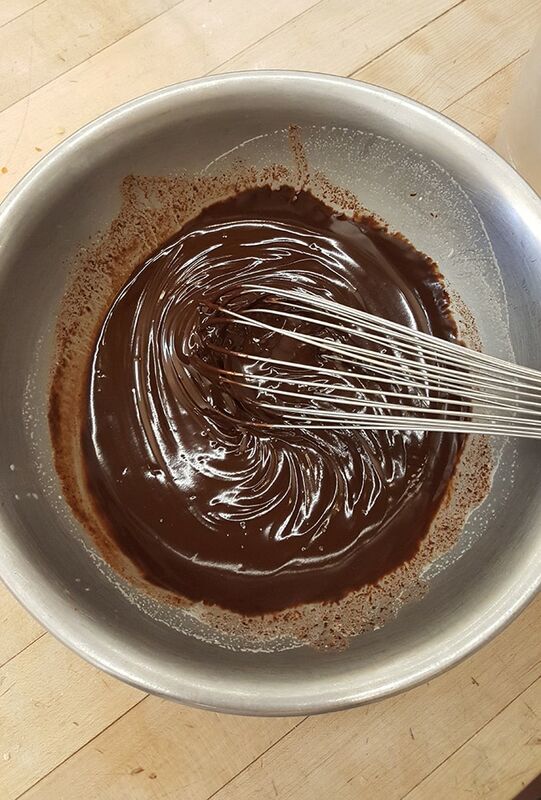 Before I get to the recipe, I would love to share some of the other things I made while there. If you are following me on Instagram, you may have seen me post some of these pictures already. 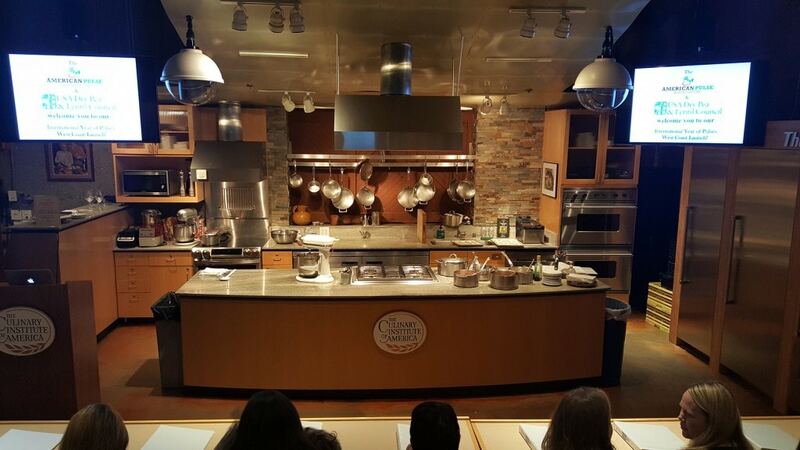 When we first arrived on Saturday, we watched a demo from the chefs at the CIA. Check out this gorgeous demo kitchen. 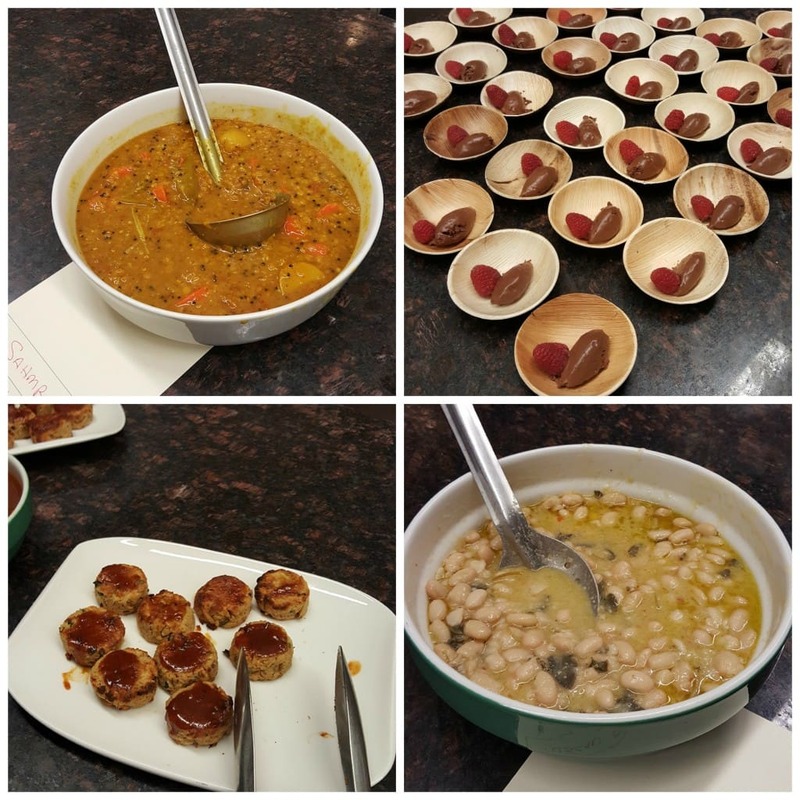 The chefs showed us 4 vegan dishes: chickpea tots, lentil soup, Tuscan beans and chocolate mousse. There were others that contained meat as well. Every dish made with pulses. I LOVED the lentil soup and the chocolate mousse. More on the mousse later. 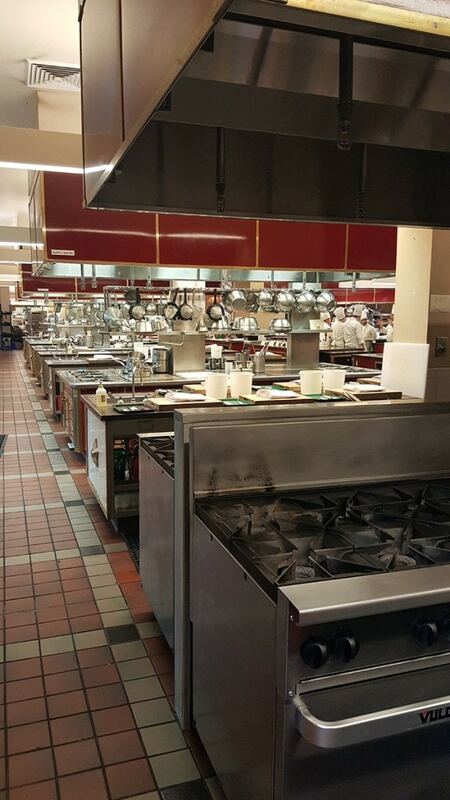 The next day, we got to cook in the main kitchen at the CIA. Check out how gorgeous it is! It was truly an honor. We were split into teams and cooked several dishes each. Many of the dishes were vegan. 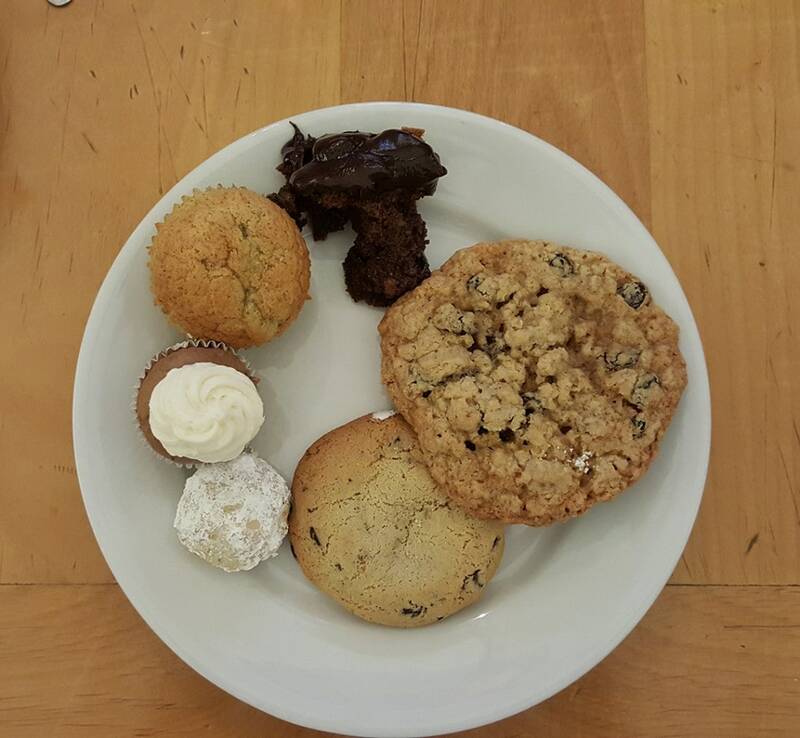 Here is a sample of a few yummy things we got to eat after. 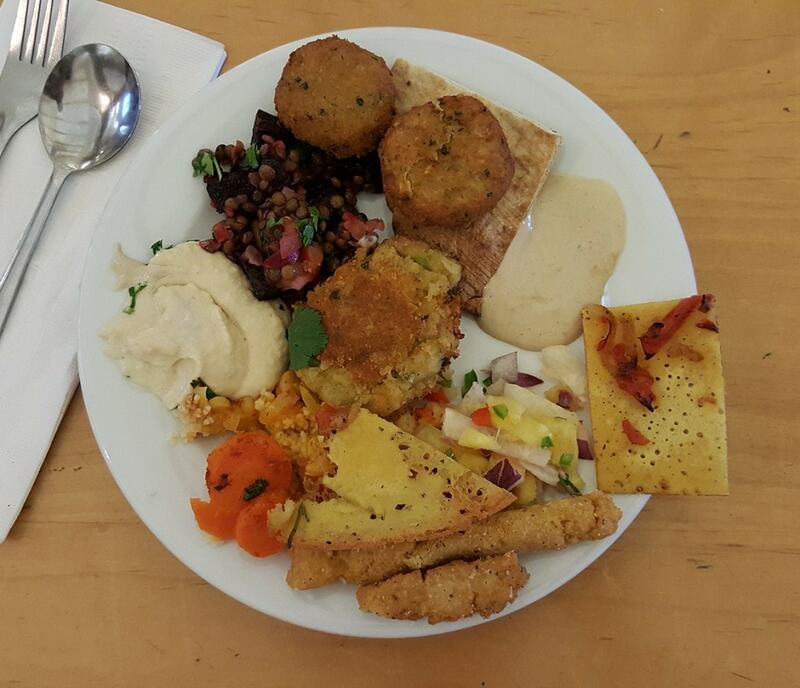 Everything contained pulses and it was all delicious!! Here is my sample plate. They even had many desserts made with beans. I was seriously stuffed. Everything was so delicious. Later that day, we got to do some exploration on our own, instead of using set recipes. Check out this gorgeous table of yum! I decided I wanted to try some baking, so I teamed up with a blogger friend to make a tart inspired by the vegan mousse the day before. Look at this beautiful baking station. 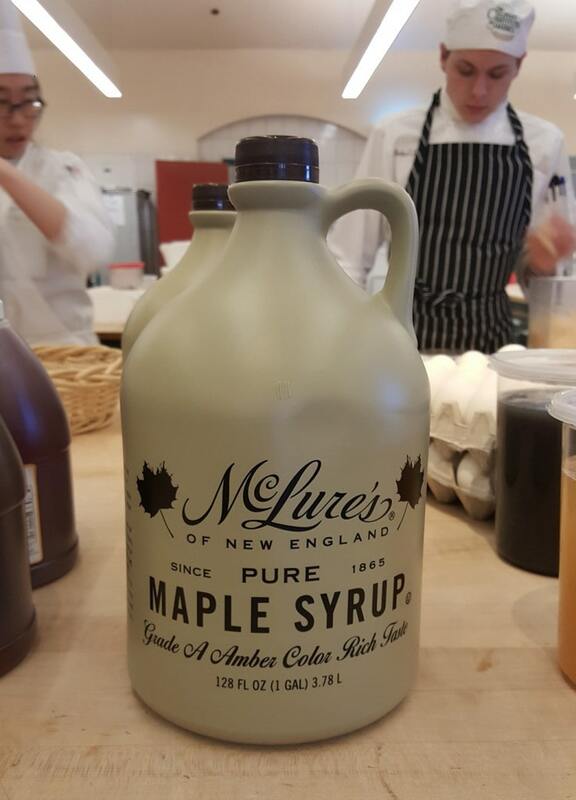 And the ginormous bottle of maple syrup! OMG. 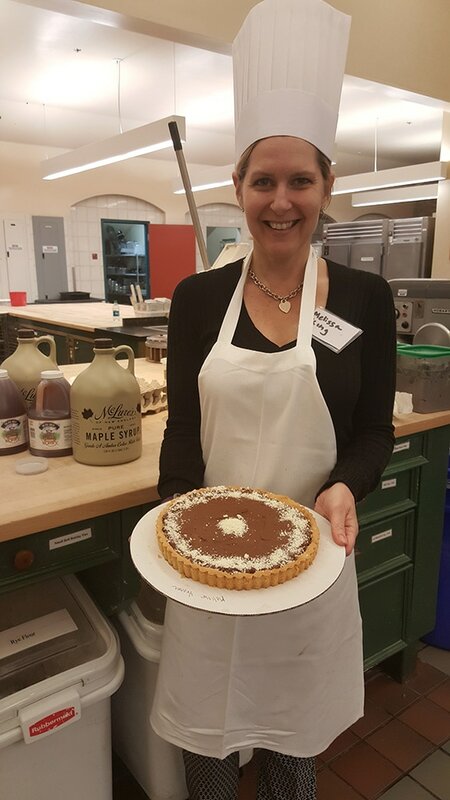 We made a chocolate coffee tart from aquafaba (chickpea cooking water). It was so delicious! You would NEVER guess there was beans in it! 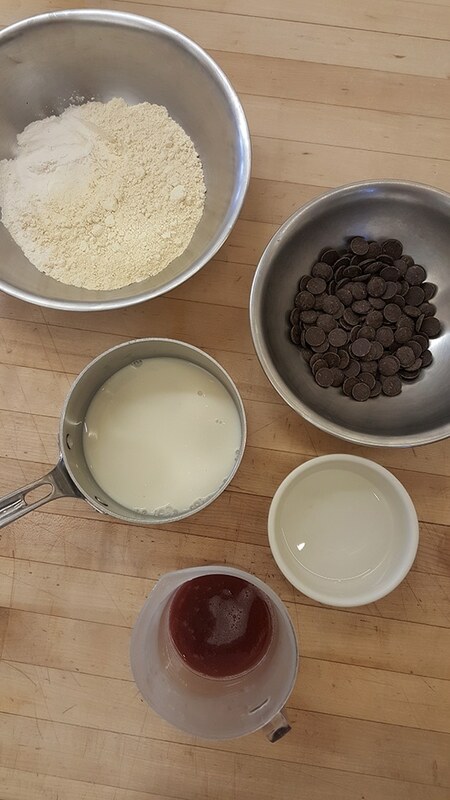 Just a few simple ingredients. We also added coffee extract which is not pictured. For the tart, we also used a crust that contained chickpea flour. Here is the final product. So there you have it. Now onto the recipe. Dice the beets and place them in a bowl . Toss in the olive oil and sprinkle with sea salt. Spread the beets out onto a lined baking sheet . Cook in the oven for about 35 minutes. While the beets are cooking, add the lentils, carrot, and onion to a pot . Fill with enough water to cover the lentils. (About 2 cups) Bring to a boil, then turn down heat and simmer until all the water is absorbed and the lentils are soft. To make the vinaigrette, add all the ingredients to a small bowl and mix together well. 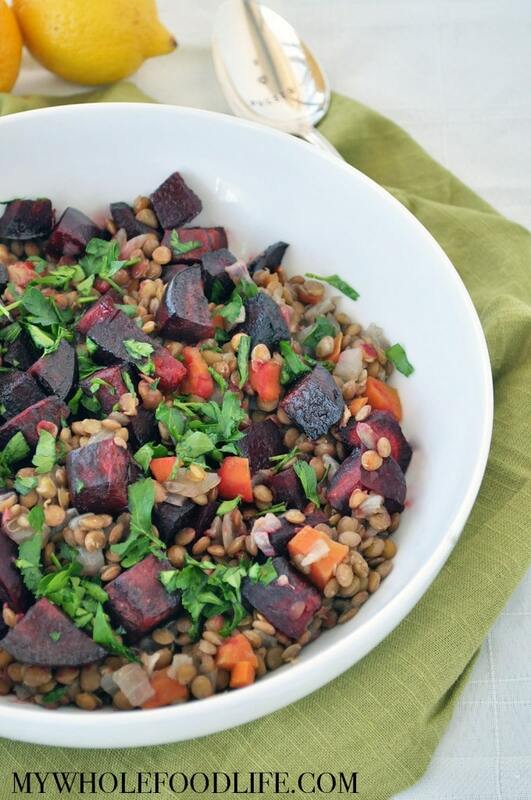 To serve, add the beets and lentil mixture to a bowl. Pour the dressing over everything and toss. Garnish with fresh flat leaf parsley. You can also add more salt if needed. Enjoy! This should last at least 4 days in the fridge. Disclaimer: This trip was sponsored by US Dry Pea and Lentil Council, but opinions are all my own. Looks good. Is it eaten hot or is it a coldsalad?either I suppose. And you got me drooling with that tart. Where's the recipe?? Will definitely make this! I look forward to seeing more of the recipes from this adventure. Thank you! I plan on sharing many others. A good book to read about lentils and how helpful they are to the environment is The Lentil Underground: Renegade Farmers and the Future of Food in America by Liz Carlisle. I happened to have some fresh beets in the refrigerator, so I decided to give this recipe a whirl, and I'm really glad I did. My family liked it a lot, and said they wanted me to save the recipe. It definitely has a chef's subtle flavor profiles...nothing sticks out as "too much." I did make one minor change; I used roasted garlic instead of raw because we prefer the more mellow flavor of roasted garlic compared to raw. Other than that, I made the recipe exactly as written. I will be making this again and again. Yum! Thanks for sharing! Wow - that kitchen! And everything looks so yummy! And the beets and lentils. I'm so happy you got to go and were inspired to make this. Now I just have to wait for the next time I have a beet in my veg bag. Thanks! It was a fun time!